All is dark at the bottom of the sea. A submarine arrives. Out pops a deep sea diver. We blast off through the atmosphere. Floating past the nebulas, our rocket lands on a strange planet. We meet an alien and have a space disco. 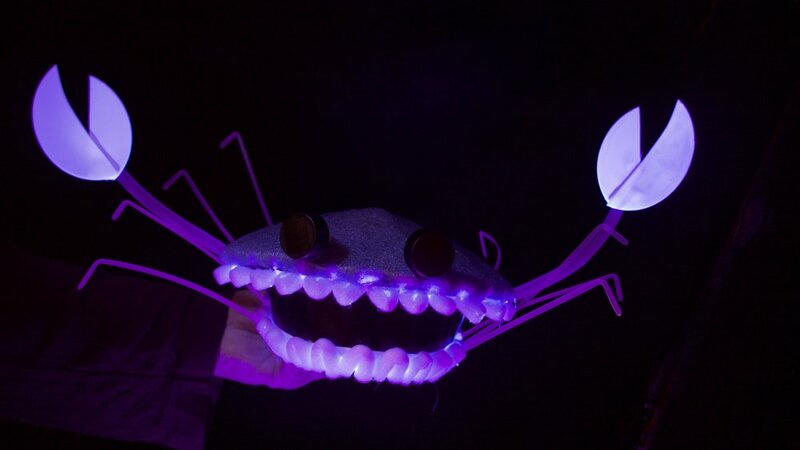 Through theatre trickery and special effects we took audiences on a 4D adventure through underwater landscapes and alien worlds created out of recycled plastic.